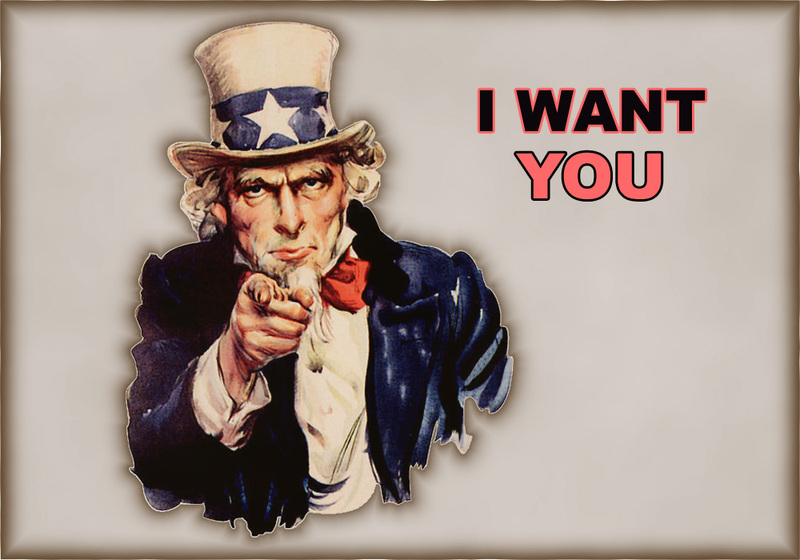 Uncle Sam wants us. But exactly who is Uncle Sam? As a sociology professor, I’m often frustrated when I attempt to teach my students what reification is–treating or thinking of an abstract concept, usually the name of a country, state, ball team, or institution as if were a reality sui generis. That is to say, reification is regarding an abstract concept, say the USA, as if it had a life of its own, as if it were a real person (“Uncle Sam”) or even a collection of real people. The fact of the matter is, as I emphasize in the classroom, there are no countries, states, and so on. Only the names of real things–such as land, territory, populations–which are, by definition, ideas in one’s head. To bring this lesson home, I ask my students whether Pennsylvania exists. Prove to me that PA exists is my challenge to them. Invariably, they ask me to open the shade in the room to look outside. I quickly point out that all I can see are cars, a road, mountains in the background. “That’s not PA,” I shout back. Then they tell me if I go down to the Maryland/PA border I will see the “Welcome to Pennsylvania” sign. I reply that all I would see is the sign with the words, “Welcome to Pennsylvania.” At this point many in the class will marginalize me as one of those “nuts” who believe that “nothing exists.” I argue, of course, that they have missed the boat, that they’ve misunderstood the lesson. Perhaps one of the most telling academic lessons in their lives. At this point I resort to the well-known general semantics truism that “the word is not the thing,” “the map is not the territory.” To understand reification you have to think outside the box and realize that words aren’t things. It’s not the US that bombs Iraq, for example. It’s people dropping bombs on other people and killing them or destroying their homes and land. Why do I spend one or two classes on reification, a type of socialization which occurs as the consequence of growing up in any country with sports teams, a military, institutions? If people divorced themselves from the reification of nation and merely regarded people as people–as John Lennon expressed in his great song “Imagine”–it would be more difficult for governments or politicians or warmongers to lead their people (I was going to say “country”) into war or invasions because the “nation’s” freedom or security was at risk. Understanding reification is, perhaps, one of the best kept secrets for achieving understanding. It’s a small yet vital step toward a saner, less violent, world. Richard Sahn is a professor of sociology and a certified contrarian.